There is no holiday more focused on killing the members of a single species than Thanksgiving. 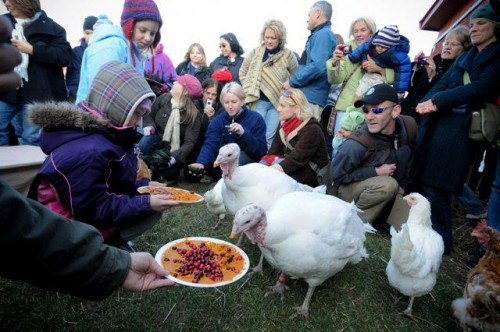 Each November, more than 45 million turkeys end up on dinner plates in the US. Turkeys raised and killed for food are drugged to grow so large inside windowless factory farms that they are crippled by their own weight; indeed, they can no longer even reproduce naturally. Moreover, to prevent the birds from harming one another in the confined spaces of a factory farm, farmers clip their upper beaks in a painful procedure that makes it difficult for the turkeys to eat. 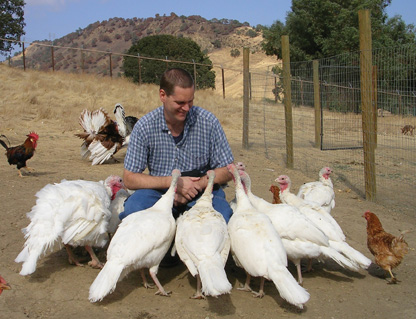 Fortunately, more and more people are giving thanks by making compassion the centerpiece of their table and opting for a cruelty-free holiday. From Tofurky Feasts and Field Roast products to a bounty of delicious plant-based recipes found in an ever-growing selection of vegan cookbooks, there’s no need to kill anyone this Thanksgiving. So enjoy a delicious, vegan Thanksgiving. After all, holidays are about family and friends—not death.